Care2 Causes | Is Burning Plastics Really Better than Recycling Them? Ireland’s former environment minister, Sammy Wilson, has once again stirred controversy after suggesting that plastic waste should be burned rather than recycled. The UK’s recycling sector is facing substantial hardship after Chinese ministers enacted strict regulations on the West’s recycling waste that it takes in. Wilson further argued that thanks to this, most of the plastic is now going to other Asian nations who have less stringent rules on what they do with that waste, meaning that much of it is being dumped in our oceans. But how accurate is that? The world is literally awash with plastic, to the tune of some 8.3 billion metric tons. Most of that is found in disposable products. In total, about six billion tons is now classed as plastics waste, but it’s estimated that less than nine percent is being recycled. Most of it, then, is heading to landfill and our oceans. It will take 400 or so years for the average plastic item to break down, and as it does so, it will continue to leach many of its chemical compounds, potentially causing a range of health problems for wildlife that might interact or even eat it. As to the specific issue that Wilson raises, it is unclear where he got his facts. It is certainly plausible that a lack of standards in some Asian nations for dealing with plastics may result in the plastics not being recycled. Why Shouldn’t We Burn Plastics? To be explicitly clear: no one should burn plastics at home. 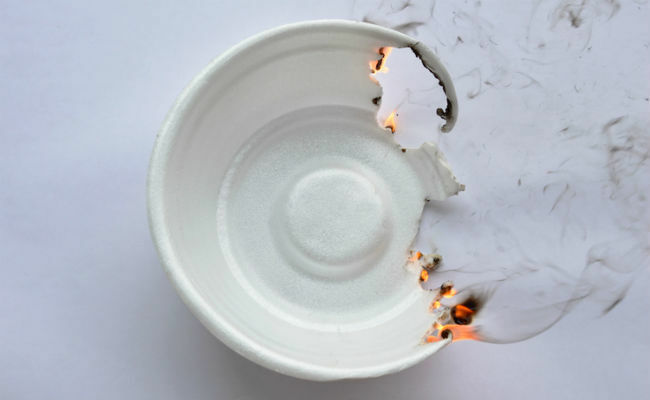 Plastics are, by their nature, laced with chemicals that can be noxious, and burning at home represents a potential health and environmental hazard. Burning plastics in a waste management setting means incinerating them rather than sending them to a landfill. This incineration process is done at very high temperatures which in turn leads to the creation of steam. That steam can even be used to generate electricity and, in some cases, for heating buildings. This process obviously has a couple of big pluses, for one that it significantly reduces plastic waste in a short amount of time. Arguably, reducing plastic in landfills may reduce global emissions, specifically methane output. In addition, because plastics provide a high yield of energy compared to other garbage that is burned, there are some significant benefits to this approach. Unfortunately, there are some drawbacks to plastics incineration too. For one thing, incinerators still emit chemicals that are bad for our health. Also, plastic waste isn’t entirely burned away in this process. The chemical-filled ash produced in the incineration process still has to go to landfill. The impact of that is being reduced, thanks to modern methods of stripping chemicals from the plastics during the incineration process, but it is still a significant concern. While incinerating may reduce some greenhouse gases, it may also produce a great deal of carbon dioxide and other insulating gasses. Lastly, there is a business management consideration too: in order to make plastic incinerators viable, they have to incinerate large volumes of waste on a consistent basis. We have seen from incinerators in Europe that this sometimes means diverting goods that could have been easily recycled simply to make up the numbers. As is perhaps apparent, there are some positives to burning plastics, but there are also significant drawbacks. It is definitely not the black and white scenario that Wilson seems to believe. Regardless, this is something the UK as a whole is currently grappling with as, with its recycling plants suddenly having nowhere to send the majority of its waste, it prepares to start incinerating. Some environmentalists have acknowledged that incinerating may have to be part of the solution in the short term, simply to reduce the backlog, but they are keen to point out that had recycling facilities not been so underfunded and that had China not been used to outsource this process, the UK would not be in this mess. The only way to truly tackle plastics waste is to look at what has caused it: our over-reliance on non-essential single-use plastics. While some products do require plastics, for example medication bottles, many items that we use plastics for actually could be packaged without plastic, like our groceries. The UK and Irish governments’ focus needs to be on plastic waste reduction, even as it looks at the more immediate threat of its stockpiled plastics. Solving the immediate issue without looking to the future will only prolong our dangerous love affair with throw-away consumerism and may well be saving up environmental damage for years to come. I wouldn't want to live near any place that had a plastic incinerator. There wouldn't be any plastic in the ocean if our recyclers were doing a proper job.